Halloween is an exciting time of year filled with pumpkins, ghosts, goblins, mummies, witches….wait, those last few things can be a little terrifying to children. 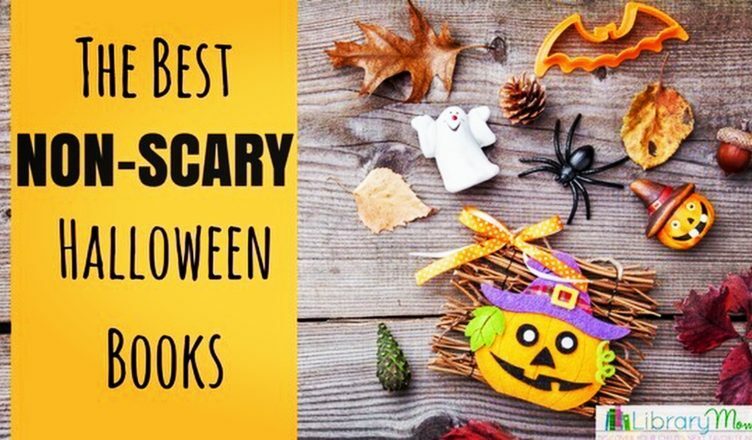 Picture books with a Halloween theme can help assuage children’s fears and bring out all of the fun parts to this great holiday. Below are a few of our favorite not too scary Halloween reads. 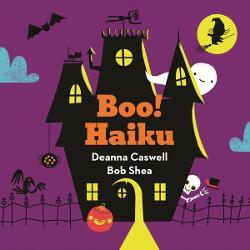 Using short poems in a haiku format, the text and illustrations give a hint to a well-known spooky creature that one might see during Halloween: “broom across the moon/ pointed hat at the window/ hair-raising cackle/ can you guess who from this haiku?/ Boo! It’s a witch!” The interactive book brings poetry alive as children eagerly guess what the next creature will be. 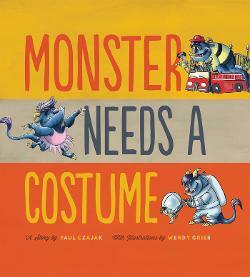 Bob Shea’s illustrations are more friendly than spooky making this a perfect Halloween book for young children. The book ends with an author’s note explaining the art of haiku. If you enjoy this format, check out Guess Who Haiku also by Caswell and Shea, which celebrates animals. 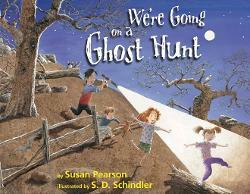 Inspired by Helen Oxenbury and Michael Rosen’s classic, We’re Going on a Bear Hunt, a group of children travel through various spooky scenes while searching for a ghost. 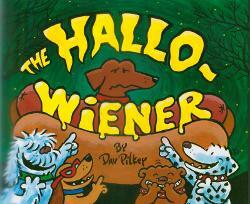 It’s rhythmic text makes this a perfect story to read out loud to a class or enjoy one on one. When I read this to my Pre-K students I encouraged them to stand up and act out the different actions in the story. The characters travel through a field, a river, and a forest finally arriving in a graveyard where they encounter a ghost. Just as the children in the book will want to go on another ghost hunt, children reading the story will want a repeat as well. This Halloween version of the song “If Your Happy and You Know” will make children stomp their paws, twitch their tails, and snort and growl. Caldecott award winning illustrator, Ed Emberley, teams up with his daughter to create this colorful book that begs to be read out loud. 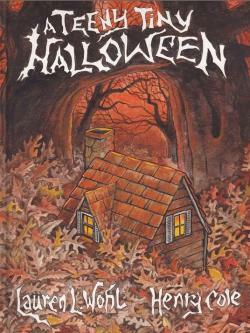 A Halloween classic, that I still read every year. The story begins by introducing all of the features of a monster: “two big yellow eyes/ a long blue nose/ a big red mouth” that appear through die cut illustrations. Then halfway through the story, the brave narrator asserts, “You don’t scare me! So GO AWAY squiggly purple hair”, etc. until all of the monster’s features have been named. 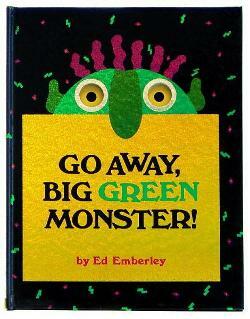 The book ends with the narrator telling the monster to go away and “don’t come back! 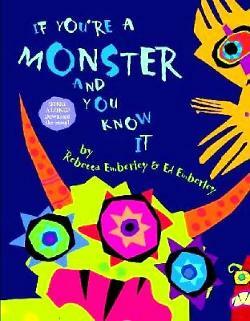 Until I say so.” This is a great story to empower young children to conquer their own fears of creepy creatures. A kind hearted witch riding her broom one dark and stormy night loses articles of clothing, which are found by a dog, a cat, a bird, and a frog. 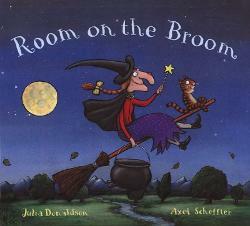 When they each ask for a ride on the broom, she says yes until they become so heavy that the broom breaks in two. The witch falls into the clutches of a dragon who tries to eat her. Luckily she is saved by her new friends. 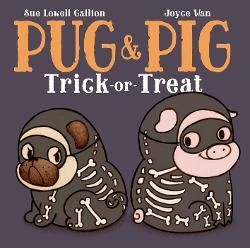 This sweet story of friendship is a perfect Halloween read for young children. In the first installment of the Monster and Me series, the protagonist is a friendly monster who can’t decide what he wants to be for Halloween. At first he wants to be a cowboy, until he sees the ballet and then wants to be a dancer, until he sees a ninja movie and changes his mind once again. I think this is a very relatable story as many children change their minds about their Halloween costumes each year. I really enjoyed the ending where the monster decides to combine all of his costumes and trick or treat as a cowboy-ninja-dancer. It leaves readers with the positive message that it is okay for children to pursue their passions, whatever they may be. In this installment of the Birdie series, our protagonist is searching for a Halloween costume. She visits a museum for inspiration. Some children may not know some of the historical figures referenced such as Sandra Day O’Connor, Eleanor Roosevelt and Albert Einstein, so it could be a great opportunity to introduce children to important historical icons. 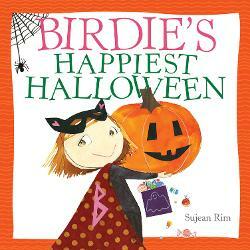 What children will relate to, however, is Birdie’s feeling of empowerment that she can be whatever she wants… for Halloween and in life. If you’re looking for a rootin’ tootin’ good time, this is the book for you. 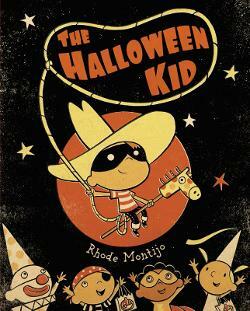 A throw-back to westerns from the 1950’s, The Halloween Kid focuses on a hero and his horse who save their town from bad guys each Halloween. That is except for this year, when the Goodie Ghouls get the best of the Halloween Kid and he has to rely on the children of the town to work as a team to save him. This is a fun story about friendship, bravery and team work. It’s retro style makes it a unique Halloween read. Where many Halloween stories are filled with frightful creatures, this holiday offering is more subdued and creates quaint tone that draws the reader in right away. The story focuses on a teeny tiny woman who lives in a small house in a big forest. Each year, the leaves fall on the tiny house, trapping the woman inside. She calmly uses various cooking utensils to make noise in order to draw attention to her home. When no one hears her, she looks at all of the spoons and baking sheets and realizes that no one can resist the sweet aroma of cookies. Children dressed up as a cat, a ghost, and a witch catch the scent of the delicious cookies and find the house. After removing the leaves, they knock on the door and are greeted by the teeny tiny woman with her warmest smile and happiest voice, “Welcome I’ve been waiting for you!” and they all enjoy the cookies together. This story leaves readers feeling happy and cozy and wanting cookies of their own! Pun after pun make this a fun book to read with older elementary students. Oscar is a dachshund who very closely resembles a hot dog. Because of this many of his friends make fun of him calling him “weiner dog”. His well- meaning mother makes matters worse when she puts him in an actual hot dog costume for Halloween. While the other dogs continue to tease him, Oscar ultimately becomes the hero when he saves the dogs from two mischievous cats. Even though adults may have to explain some of the puns, kids will love this very silly story. It also serves as a nice conversation starter about using kind words with others. What are some of your favorite Halloween books to read with children?